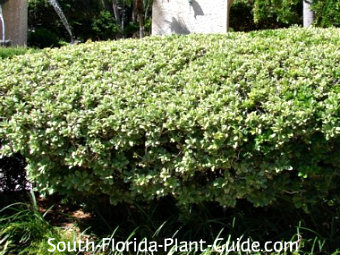 Variegated pittisporum - you can't ask for a better shrub to combine great looks with low maintenance in a South Florida landscape. This is one tough cookie of a plant - cold hardy, salt-tolerant and not a fast grower you'll be trimming all the time. It has a distinctly formal look when kept well-trimmed, but this plant can easily be left to grow in its naturally mounded shape with only occasional light pruning. There is an all-green variety that in recent years has been upstaged by the showier variegated "pitt," with its thick, light green leaves (set off by cream-colored edges) that grow in an attractive rosette pattern. Texture and coloration make this shrub stand out against darker green foliage. 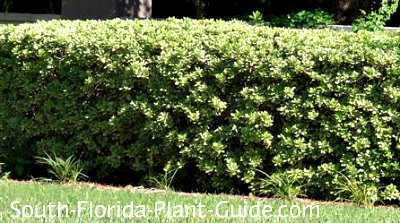 These shrubs seem to look best (and are most often used) in group plantings - usually as hedge bushes. More is better for visual impact. 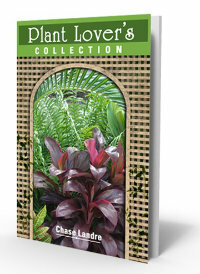 However you can always grow a single plant as an accent or even as a specimen plant or small tree (it can get 15 feet). If left untrimmed, the plant will produce little white spring flowers with a sweet scent similar to orange blossoms. Most people don't realize this shrub even flowers because it's usually kept regularly trimmed, and the flowers themselves are small. This plant grows too large eventually to work as a foundation shrub, especially under low windows. This evergreen shrub is a slow to moderate grower (though a bit faster growing when young) and does best in full to partial sun. 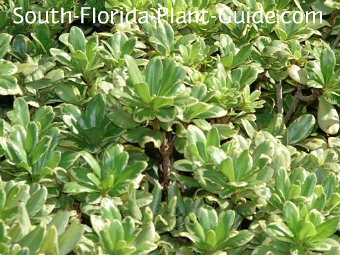 These are cold hardy plants, fine in Zones 9B or 10, and they're salt-tolerant as well so they work in coastal areas. 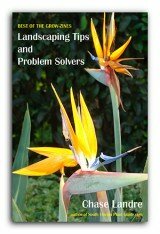 You can keep them trimmed to about 3 to 4 feet - or let them grow larger if you prefer. Add top soil or organic peat humus to the hole when you plant. You can also add in composted cow manure to enrich the soil around the plant's rootball. Variegated pittisporum can be branch trimmed occasionally for shape, with a bit harder pruning in spring. It can also be manicured using hedge trimmers...though with a somewhat scraggly look until it grows out of the trim. Water on a regular basis but allow the plant to dry out a bit between waterings. The area should be well-drained and not stay soggy after a hard rain. Place these shrubs about 3 feet apart. Come away from the house about 2-1/2 to 3 feet. 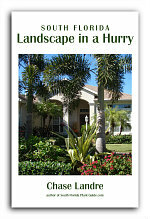 If planting along a walkway or drive, come in 3 feet. This plant does fine in a large container. 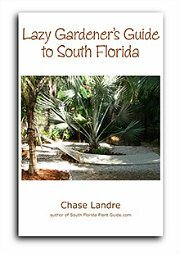 COMPANION PLANT SUGGESTIONS: Dwarf or Maui ixora, liriope, dwarf allamanda, Red Cluster bottlebrush, jasmine minima (Asiatic jasmine), dwarf oleander, juniper, Plum loropetalum, and white or red fountain grass.